British sculptor Sir Jacob Epstein was once visited in his studio by the renowned author and fellow Briton, George Bernard Shaw. The visitor noticed a huge block of stone standing in one corner and asked what it was for. “That’s all very well with a four-ounce manuscript,” replied the sculptor, “but not with a four-ton block.” Today in the Word, April 5, 1993. I find it interesting that some people are just opposed to doing any kind of planning. Some see planning as a lack of trust in God. I would argue that God plans, so why should we not also plan? The only difference is, make sure those plans still leave room for God to adapt and change those plans. We continue looking at leadership from Nehemiah’s perspective. Nehemiah explained to the king that his sadness was a result of the conditions in Jerusalem. How did Nehemiah know how long it would take? It was because for the past four months, in addition to praying and fasting, he had also been planning! Nehemiah was so sure God wanted him to go to Jerusalem that he had already made plans. So, when the king gave him the opportunity, he was prepared. How many of us miss our chance because we were not prepared? Look at verse 7. Nehemiah did his homework. He was so prepared he even knew the name of the man in charge of the king’s lumberyard. What would have happened if Nehemiah had not been prepared or did not have a plan? The king probably would not have given him permission to go. Nehemiah had prayed about what he wanted to do. In my current position, I work a lot with churches and one thing I have come to notice. There is lots of hand ringing and indecision. There is also a lot of flying by the seat of their pants. When I ask, “What are your plans for the future?” I get blank stares. Planning I hear is overrated. So, is doing the same thing the same way year after year and expecting people to want to join you on this journey. Imagine going to the bank to borrow money for a house. When the banker says, “How much do you want to borrow?” You respond by saying, “I don’t know, how much do you have?” When the banker says, “What do you want to use the money for?” you respond by saying, “I am not quite sure yet.” When the banker says “How do you plan on repaying the loan?” You respond by saying, “Good question. I guess I better figure that out. Now where do I sign?” What do you think your chances would be of walking out of the bank with a loan? In fact, what do you think your chances would be of walking out of the bank, period? Very few: they’d throw you out and have you committed! Why then, do we expect God to use us when we don’t prepare to be used? No matter what it is you want to accomplish in life, whether it is to buy a house, be a bodybuilder, go on a great vacation, make money, get married, serve God, or rebuild a wall – you must first have a plan. Nehemiah gave God the credit and the glory. He didn’t say, “The king granted my requests because I was sincere, I was prepared, I was willing to wait…” and so on. Be care of the leader who uses the “I-word.” Nehemiah realized that it was by God’s hand upon his life that gave him the opportunity to do this great work. We’ve looked at eight characteristics of the kind of person God uses. God is looking for those who are trustworthy, compassionate, committed to prayer, ready to work, willing to wait, confident, sincere, and able to devise a plan. There is one characteristic that encompasses all of these: God uses the kind of person who is willing to give God the glory—not seek to glorify themselves. 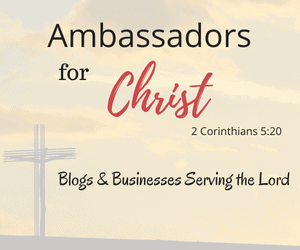 ← What Is Your Missional Motivation? If you don’t plan, you have already planned to fail. Thank you have an awesome day in the Lord. And you as well, Keith! I come from a branch of Christianity where advance planning is sometimes regarded as a lack of faith in God, but the prophets were typically told things in advance. There certainly is nothing wrong with letting God speak to us in advance and then planning and acting accordingly. Your point is well made, as usual. Take care. You are such a great source of encouragement to me. Thank you for that. Great article. I am super ocd about having plans and outlines.